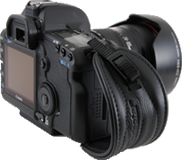 Camdapter strives to provide high quality, ergonomically designed products that allow photographers to carry and support their equipment, as well as interface with industry QR systems. We are always working to introduce new products and continue to refine our time tested designs. All of our products are manufactured in the USA and we always give preference to American made products. We strive to offer reasonable prices, quick shipment of orders, and genuine great customer service.